Julie Bozza Ordinary people are extraordinary. We can all aspire to decency, generosity, respect, honesty – and the power of love (all kinds of love!) can help us grow into our best selves. To ask Julie Bozza questions, please sign up. Hi Julie :) will your new book be published in paperback format? Have you ever felt that you 'had' to write a particular story? Despite it not being your genre/not having time/whatever? Julie Bozza Thank you, Charlie! Excellent question. It made me ponder for a while ... as in some ways, all my books are like that. I have to write them,…moreThank you, Charlie! Excellent question. It made me ponder for a while ... as in some ways, all my books are like that. I have to write them, regardless of being time-poor (as most of us are). But I suppose the obvious answer is that it's my novel about John Keats' four months in Rome, titled 'The Fine Point of His Soul'. I think I managed to put off writing it for about five years, and then the actual writing process was more torturous than any other of mine. (I hope the reader won't feel that, mind!) But the thing had to be written, and in the end I'm really pleased with how it all turned out. I hope that anyone who gives it a try will be happy with it, too. 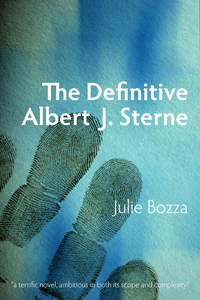 As you’ve probably noticed already, I recently re-released a revised edition of my novel The Definitive Albert J. Sterne. Description: An excerpt from the novel. Tom begins to explore Hilary’s overgrown physic garden. Description: An excerpt from the first chapter of this novel. A cop and a mobster find themselves thrown together in a life-or-death situation. Description: The first scene of the novel. We meet Grae and his actor-colleagues Ben and Chris while they’re filming a TV show called The Justice of Godbolt. Description: An excerpt from the novel. It’s Dave’s first full day in England, and not only does he meet the infamous chauffeur, but he and Nicholas have to work out what happens next. We’d love your help. Let us know what’s wrong with this preview of Midnight Flit by Elin Gregory. We’d love your help. Let us know what’s wrong with this preview of The Queer Art of Failure by J. Jack Halberstam. Julie Bozza is on page 127 of 460 of House of Fiction: I picked this up for a fun read, and am enjoying much of it. But I'm easily provoked into a bad mood now, after the Austen clangers! So, Charlotte Bronte's contemporary readers "could not guess" that Charlotte, like Jane Eyre, "possessed a similarly fierce desire for self-determination". Yes, she was writing under a male pseud, and they could not KNOW, but I'm sure some guessed the author felt it too. Julie Bozza made a comment on ponders: contemporary or historical…?
" Rohase wrote: "That's a fascinating question, 'what exactly does count as historical fiction?' - it makes you think - because we all assume Regency, V Rohase wrote: "That's a fascinating question, 'what exactly does count as historical fiction?' - it makes you think - because we all assume Regency, Victorian, Roman, Medieval … but you're right, it need only be ..."
Thank you, Rohase! Emma Darwin's blog post certainly made me think. She explores all kinds of nuances I hadn't considered before. It does feel a bit odd to me that the "50 years before" definition means that someone writing today about the 1960s is writing historical fiction. However, even though I was alive then, it does feel rather like "another country" to me now! ...more "
" Bryn wrote: "It gets better: an Amazon review of this says her Keats bio 'stressed the importance of Fanny Brawne on his development as a poet'..."
Wow Bryn wrote: "It gets better: an Amazon review of this says her Keats bio 'stressed the importance of Fanny Brawne on his development as a poet'..."
Wowy! Thank you for the tip! I'm off to buy it now, and the biography of her as well. :-) Amy sounds like a righteous dude indeed. ...more "
We’d love your help. Let us know what’s wrong with this preview of The Educational Heritage of Ancient India by Sahana Singh. We’d love your help. Let us know what’s wrong with this preview of Amy Lowell Anew by Carl Rollyson. Megan wrote: "Thanks for adding me!" Thank you for accepting me, my dear! Thank you so much, Sofia, for the kind wishes. I hope the same for you! Bryn wrote: "Did you ever read Epistemology of the Closet? I remember I 'decided not to', although the details of why escape me. Interested because of Henry James. (You haven't seen anything on Hen..."
Thank you for the queries! Though I will have to disappoint you with my answers. I haven't read that title, though I have read her Between Men: English Literature and Male Homosocial Desire. I do think she's worth reading! And, no, I haven't seen more than a glimpse of Henry James so far, but will keep an eye out as I tackle my towering TBR piles. Sofia wrote: "wishing you great times Julie :D "
Helle wrote: "Merry Christmas and Happy Holidays with lot of love, happiness and laugh to you and your family *big hugs* <3"
Misty wrote: "Joyeux Noël Julie! " 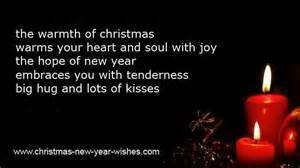 I hope that you and yours have an awesome festive season. 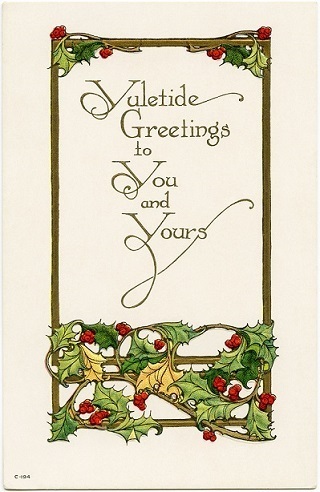 Helle wrote: "Merry Christmas with family, friends, love, happiness and laugh *Cuddle* *Big Hugs* *Kisses* *Happy* Thank you for making this a speciel Christmas <3 <3 <3 My sweet and lovely friend :-D"
Thank you so much, Helle! 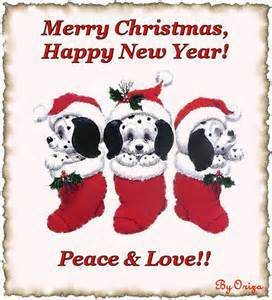 I wish you all the very best for a festive Christmas and awesome 2015. Aw, thank you, Sofia! I hope you have a magical Christmas, and a magnificent 2015. ♣ Irish Smurfétté ♣ wrote: "Have a wonderful holiday, Julie. :D"
Misty wrote: "Bonnes Fêtes de Noël"
Thanks for accepting and have a vunderbar day LOL"
Sofia wrote: "Happy Birthday Julie :D"
LOL! Thank you so much, Sofia, for the wishes and for the dance. Misty wrote: "Happy Birthday, Julie"
Julie wrote: "Helle wrote: "I hope that I can come to the UK Meet next year, but hopefully I can fly direct to the City and I do not think I can handle to wait with a transfer airport in 5 hours again *worried* ..."
Helle wrote: "I hope that I can come to the UK Meet next year, but hopefully I can fly direct to the City and I do not think I can handle to wait with a transfer airport in 5 hours again *worried* *hopeful* *fingers crossed*"
It is an honor to talk with you and the rest of your books I have as eb..."
Sofia wrote: "Hi Julie - Thanks for the req and taking the jump instead of me. I was being a scaredy cat. Looking forward to more chatting :D"
Yay! I was being a scaredy cat, too. Now we know better. 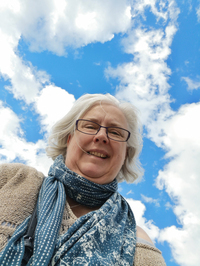 :-) Terrific to connect with you properly here! It is an honor to talk with you and the rest of your books I have as ebooks :-)"
Thank you, dear Helle! It was so lovely to take with you, and of course kind and sweet words are exactly what you deserve. Hope to catch up with you again next year...? Ije the Devourer of Books wrote: "Hi Julie thanks for adding me :) I didn't realise we weren't friends here. I have just started reading Albert Sterne and I love him. :)"
I hope you have a Great Summer !!! Misty wrote: "Thank you Julie!!" J.P. wrote: "Yay! We're friends here as well, although I must admit GR scares me a bit. Yay! We're friends here as well, although I must admit GR scares me a bit. Misty wrote: "Wishing you a great New Year filled with happiness and success !!!!" 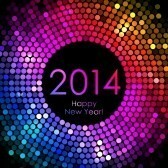 Wishing you a great New Year filled with happiness and success !!!! Julie wrote: "Macky wrote: "Hi Julie, it was such an honour to meet you yesterday, I enjoyed every minute. Hope you had a stress free journey home. :D xoxox"
I was honoured to meet you, too, my dear. And you mu..."
It was so wonderful to meet you on Saturday and share just how much I loved Butterfly Hunter. Must go and write a review of it here, mustn't I? I fail at Goodreads sometimes!